Fall has finally arrived, and I'm doing a little happy dance over here. I am so excited for the leaves to fall, to go buy some apple cider and to eat everything that has to do with pumpkins. Who else isn't? 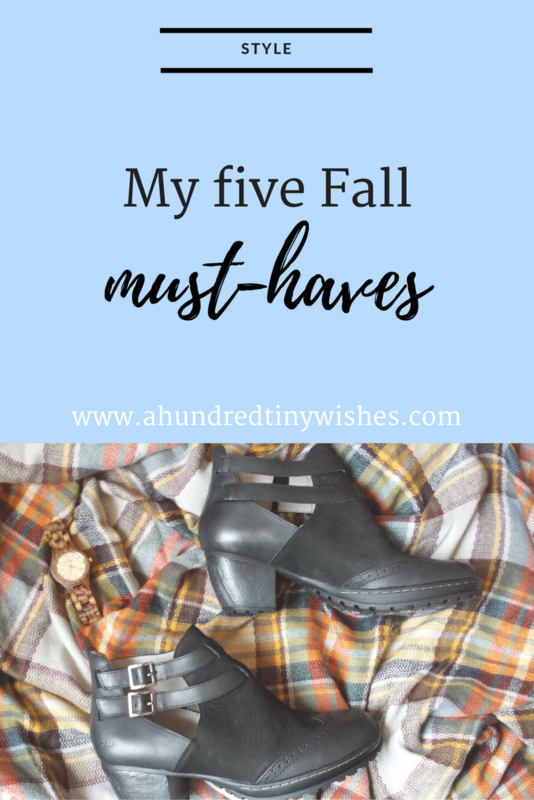 Every season, I have a few must-haves that make the season just that much better. 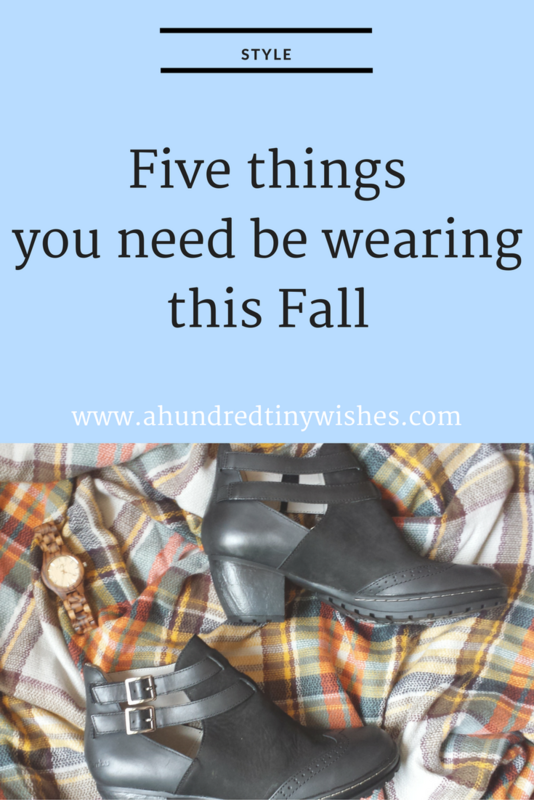 The must-haves can include clothing, accessories, or makeup, and Fall, for me, is all about the clothes! Plaid itself is the staple of Fall, and instead of looking like a country girl in a flannel, I love the look of a plaid scarf. It keeps my neck warm in the cooler temps, adds a pop of color to an otherwise basic or neutral outfit, and scarves are so versatile in how you style them. Plus, it provides a great prop if you are a blogger that wants to take photos of your Starbucks. For a long time, I had no interest in skinny jeans. 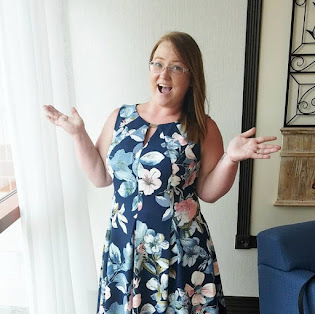 I am a bigger girl, so I didn't think that they would look good on me. I was wrong. After trying on my first pair, I was hooked. I love how skinnies fit my body and highlight my curves. And I love how versatile skinnies are- you can wear them with just about any shoes, and you don't have to stuff them in boot socks when wearing riding boots. I know I'm not the only girl out there who accessorizes by season, and one of my favorite accessories for the Fall is a the perfect wood watch. 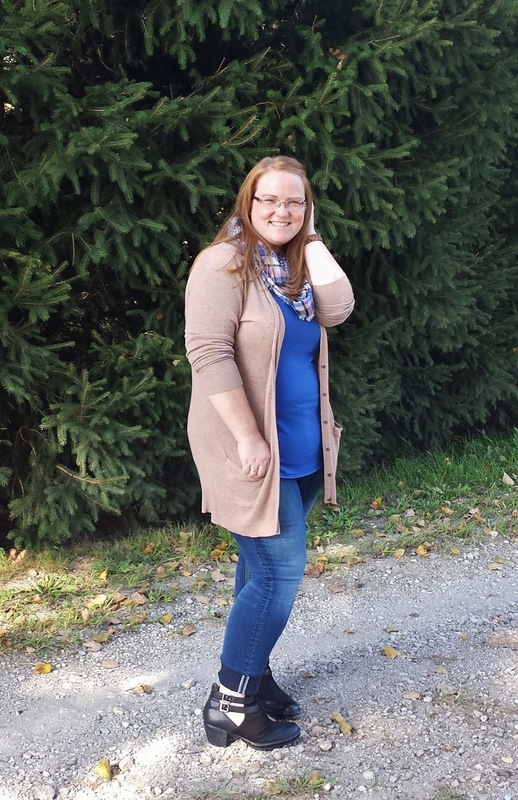 Since Fall in the Midwest can be tricky (aka warm one minute and cold the next), I love a good neutral cardigan that can go with everything. My favorite style is long, chunky, and boyfriend. To be honest, I had been on the hunt for a great pair of black booties for some time. Every pair that I had tried on, never suited what I was looking for- something stylish, comfortable, and with great tread. Granted, I may be a bit picky, but I didn't want something that would make my feet hurt after about 10 minutes of walking. 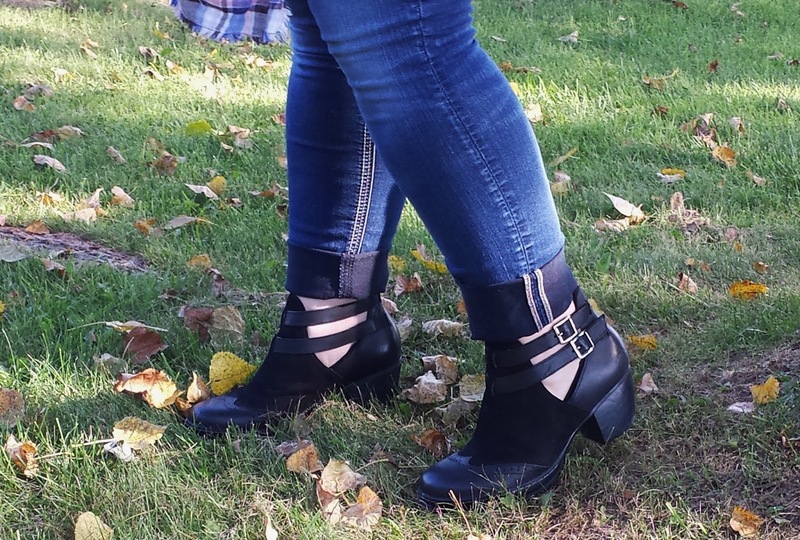 After looking for almost a year, I was introduced to Jambu Shoes, and I finally found a pair of black booties that I could fall in love with. These amazing little black booties are called Brava, and are so comfortable! The heel is only 2 1/4 inches, so it's perfect for someone who likes a heel, but doesn't love a heel. The Brava also features vintage leather and nubuck upper, a partially recycled rubber All-Terra outsole, a memory foam footbed, and double faux-buckle velcro closures. Um, yeah, I just said velcro! Best. Thing. Ever. 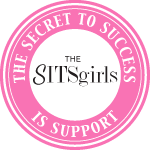 As much as I love the booties, I love the story behind the company also! Jambu was founded in 2010 and their mission is to create outdoor-inspired shoes with on-trend fashion elements. Some designs are constructed of only the finest soft, supple leather; others are vegan and use no animal products. Enhanced further by the use of environmentally friendly, recycled materials, Jambu is conscious of the environment and protecting the planet. Jambu and their two sister companies- JBU and Jsport offer a wide range of style for whatever activity guides your way. They focus on style, comfort, and use-ability; some styles are vegan, some are waterproof, and some are water resistant. In addition to women's booties, Jambu also features boots, casual shoes, wedges, & heels for women, and an assortment of shoes for men & kids. For next summer, I want to buy my son these. 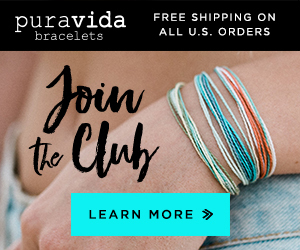 Jambu is also offering a 10% off code (only valid on full-price items) exclusively for a hundred tiny wishes readers! 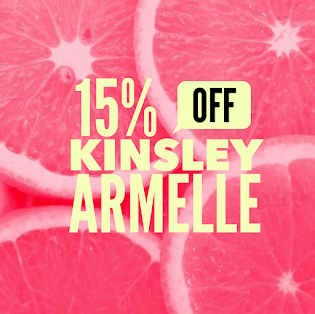 The code is valid until October 14, and all you have to do is enter jambuwishes at checkout. 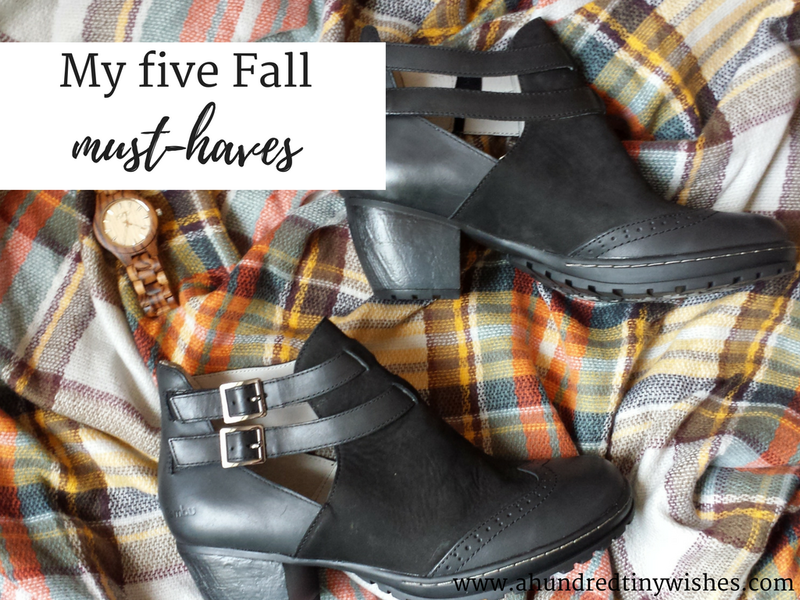 What is on your Fall must-haves list? Disclosure: This is a Sponsored Post. 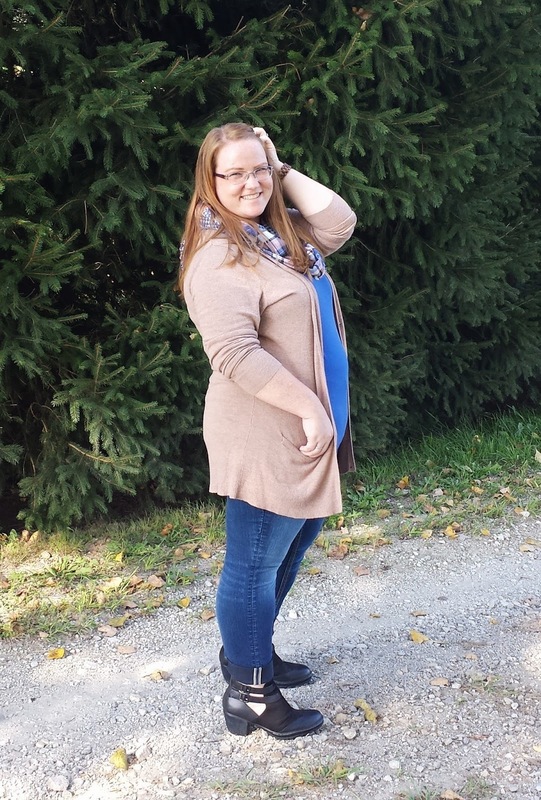 I was given the Brava women's booties from Jambu shown in the photos above in exchange for an honest review. The opinions I have expressed in this post are 100% my own.